I took Friday off and we spent the long weekend in Baltimore. Aunt Kathy (Daniel’s great aunt) and her husband housed 6 guests in their townhouse. We slept in the living room on an air mattress and couch, respectively. On Friday, Daniel, his mom, and I ate at the Bel-Loc Diner, his Pop-Pop’s favorite after-shift haunt during his days as a Baltimore police officer. We had the thrill of watching a car smoke and burn from the restaurant window before firefighters arrived to spray it out. 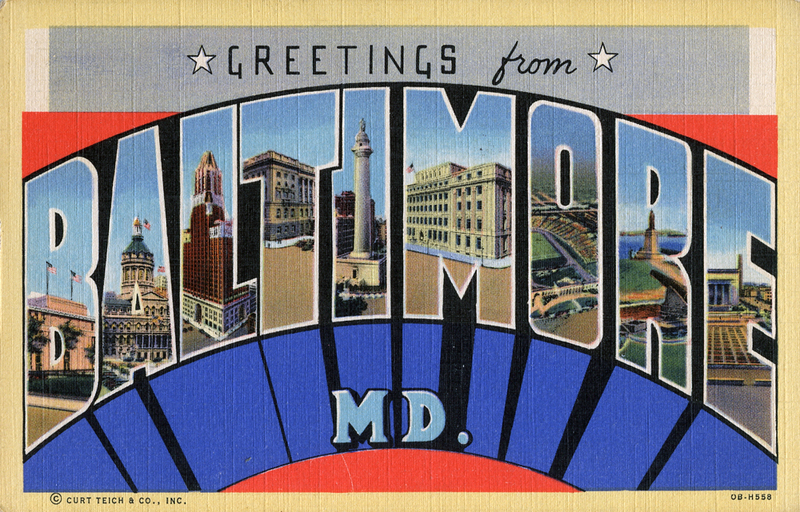 Then we headed into the city to peruse the Maryland Historical Society exhibits, which included a 3-D slideshow of Civil War images originally meant to be viewed on the stereoscope. It was stirring to see fields laid out with bodies of American dead in three dimensions, as if you were standing on the field yourself. A substantial portion of the family went out to hear a friend’s band at a local bar Friday night, reminiscing on the outside deck when it got too hot to stay inside. On Saturday, Daniel reunited with his long lost child-hood cousin/best friend, Dustin. He ate breakfast with the eight of us staying at Aunt Kathy’s, then we headed to a movie later in the day before meeting up with 30 or so family members for Uncle Paul’s marriage celebration on the deck of their house situated along Middle River. We listened to live music courtesy of various family members; ate delicious, homecooked food, including awesome bbq ribs; sat on the pier as the sun went down; shared stories about our lives and the collective life of the family; ate some cake; and played with sparklers until night fell (you could just make out one of the dippers in the night sky). 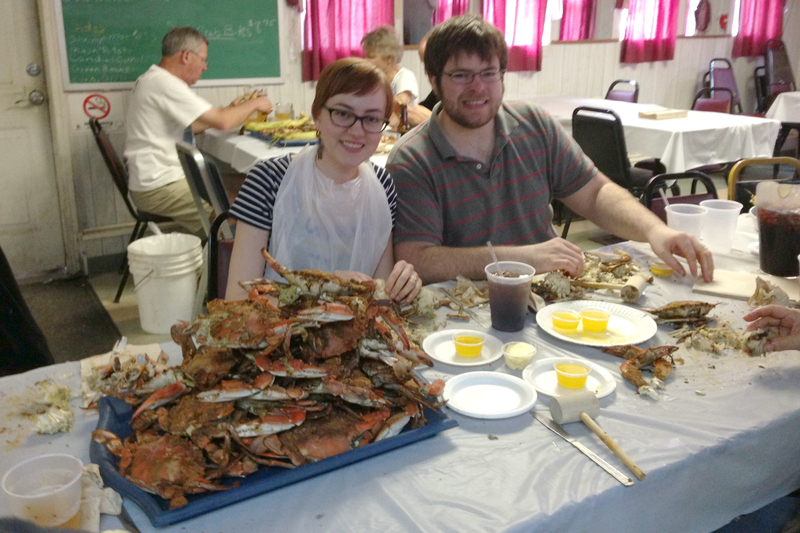 On Sunday, we slept in, drank coffee in the back yard, ate blueberry pancakes, and prepared for a Maryland tradition: eating steamed crabs encrusted with Old Bay seasoning. After I peeled and cracked my way through the second crab, one of Daniel’s relatives told me I passed the crab test, a sacred family tradition. I’m officially accepted by the Nizer clan (but really, I think I already was). Sometimes you leave town anticipating joy and come back empty-handed. This time around, though, my heart is full. Things weren’t (aren’t) perfect, but family (even ones you’re not related to) is special. And maybe the fact that I’m not related is what made this visit feel lighter. I had a beautiful time getting to know people; observing family reunions, discussions, and arguments; and sitting out by the Middle River for hours, just breathing the moment in with the cool, humid air.